coming home from work after a busy day, i scanned the freezer and to my delight, there was pork liver. i was craving for that all week. i thawed it and ended up with this dish. remember, this is not for the weak of heart (& stomach). And the cooking time should be as quick as possible. Somewhat like medium rare steak is what you're looking for. ENjoy! 1. saute onion, garlic and ginger in oil. add mushrooms and cook for 3 minutes. Remove from pan then ser aside. 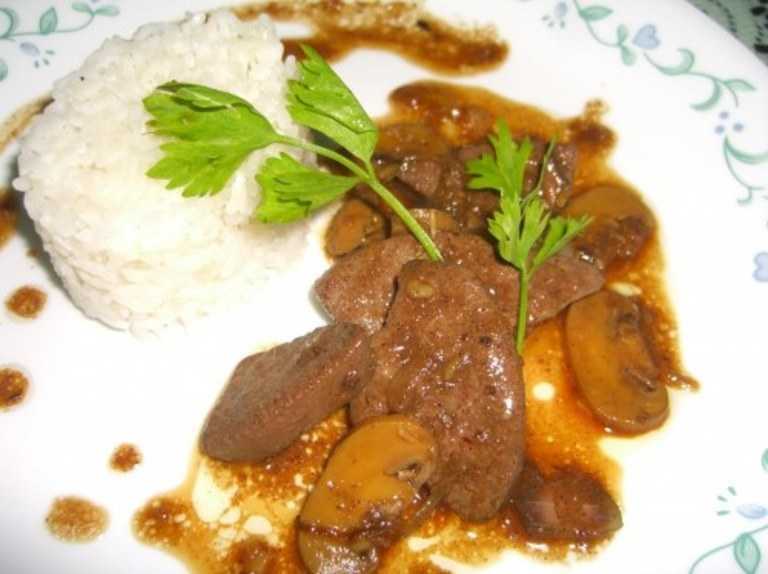 2. quick-fry liver in 2 batches then add the mushrooms. 3. add oyster sauce, sugar, water and salt & pepper to taste. 4. simmer for 2 more minutes then remove from heat. serve with steamed rice.